One of my goals is to use it as the microphone and speakers for Skype calls. In that respect, it works well. However, I also want to be able to answer a Skype call with its Multi-Function Button (MFB), so that I don't have to be sitting at the computer when a call comes in. In that respect, the headset fails. One possible solution is to configure Skype to answer incoming calls automatically, but I don't like this idea, for two reasons. First, most of the time I am at my computer. In those cases, I may not always want to answer a call – especially when I see CallerID . Second, I may not be at the computer and may not have the headset on, in which case I don't want Skype to answer the call. 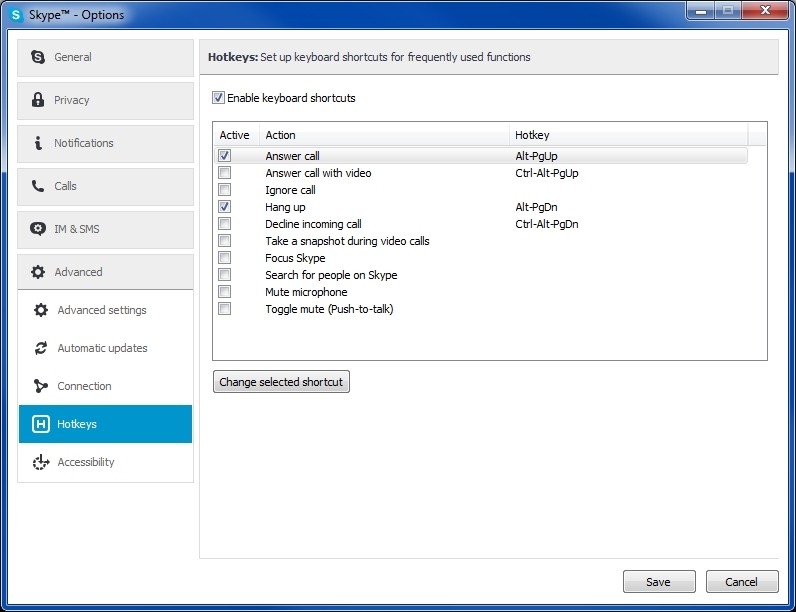 I could try to remember to enable/disable Skype's automatic answer feature depending on my whereabouts, but that is likely to be error-prone – and a nuisance to boot. The better solution is to configure the MFB to answer a call. Fortunately, there's a way to do this easily – and with free software. As long as your Bluetooth headset has a Play-Pause button, the solution in this article has a good chance of working. Please post your results here when you try it with your headset – it will be good to know which Bluetooth headsets do or do not work with this technique. An AHK script is a plain text file. You may create it in any text editor, such as Notepad, but make the file type AHK (not TXT). After installing AHK, it will own the file type AHK, so the shortcut above will work, as Windows will automatically run AutoHotkey on that file type. Of course, you may put the AHK script wherever you want and name it whatever you want. In my case, my AHK startup script has many mapped keys, as I make heavy use of AHK to define hotkeys. But at the very least, your AHK script would contain the two code snippets shown above. Enjoy being able to answer and hang up Skype calls from your Bluetooth headset!